Jack's Tuxedo has been planning weddings for Pittsburgh couples the past 36 years. Our professional staff will happily assist your party in choosing the right colors to match your ideal wedding decor. At Jack's Tuxedo we believe that when you look your best, we have done our job well. Unsure about what tuxedo options will look best on you? No problem. Jack's Tuxedo will take your custom measurements and put together outfits for the groom to try on before placing your order. Just ask any one of our friendly staff members to assist you. Do you have a formal event coming up? Jack's Tuxedo offers exceptional pricing not just for large parties, but for individuals, as well. Are you in need of a last minute tuxedo order? Jack's Tuxedo is able to put together a complete tuxedo with custom alterations within 24 hours. Our local warehouse is fully stocked with our entire inventory allowing us to meet the needs of all our customers. 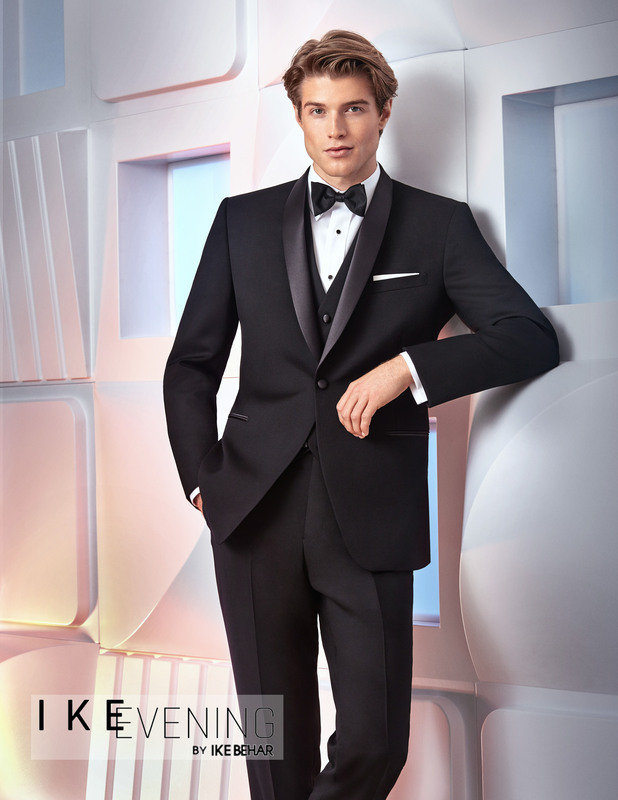 Our showrooms are also stocked with a wide selection of tuxedos in a variety of sizes. Just stop in to Jack's Tuxedo for all your formal needs no matter your timeline! Prom should be a memorable experience for all young people. Naturally you will want to look your best and for quality service, selection, and reasonable prices look no further than Jack's Tuxedo. Not sure of what to wear for the big dance? Jack's Tuxedo's staff will be happy to offer styling assistance so that you and your date or group of friends will shine. Jack's Tuxedo is also happy to support Pittsburgh schools and has been generously sponsoring teams and organizations for Pittsburgh area schools for 36 years. We continue to support local schools and students with various promotions. Stop in to one of our four convenient locations today and ask our helpful staff how you can save even more on your prom rental. Jack's Tuxedo offers knowledgeable formalwear consultants, quality men's formalwear and a wide variety of options to make your special event truly memorable. At Jack's Tuxedo, you can trust that your formalwear outfits will be prepared locally and with care. Our local warehouse affords us the flexibility of providing timely, exceptional service to fit every timeframe - a service larger companies are unable to provide. Do you have a last minute event coming up? No problem. At Jack's Tuxedo, we are able to put together complete outfits for the same day. Bridal parties, do you have members of your wedding that are located outside of the Pittsburgh area? No problem. Have your friends and family get their measurements done locally and then send or call them in to us at Jack's Tuxedo. We will prepare their outfits for the occasion and if changes need to be made, we are able to do so quickly and efficiently. Our local warehouse contains our entire stock of tuxedos, shoes and accessories and allows us to fix any issues that may arise while affording couples with the peace of mind of knowing that their wedding party is in good hands. Stop in to any one of our showrooms today and ask our formalwear consultants how we can help you to look your very best for your special occasion. Stop in to one of our local showrooms to check out our exceptional selection of tuxedos and accessories or contact us via email with questions about your upcoming event. Prepare to Look Your Best!